The last time that Ole Miss lost to Alabama Eli Manning was their starting quarterback. 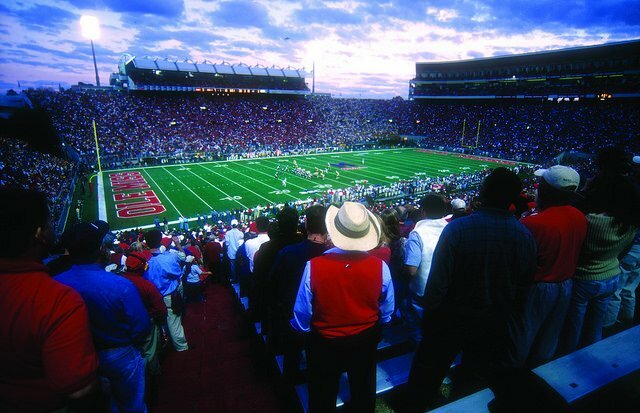 The Rebels have lost ten straight games to Alabama, and will look to end that streak Saturday at 3:30 p.m. ET on CBS. Both teams come into the game undefeated at 4-0. Alabama has shocked everyone in football this season with their offense, which is averaging 42 points per game and 335.8 passing yards per game. Blake Sims has been the biggest surprise for the Crimson Tide, he has already passed for 1,091 yards and thrown eight touchdowns. Amari Cooper is without a doubt the best player on Alabama offense, he already has 43 receptions for 655 yards and five touchdowns. Ole Miss comes into the game with one of the better defense in college football, and they are holding their opponents to an average of 8.5 points per game, which is third in the country. The Rebels are fourth in the country in yards allowed per game at 248, Alabama is fifth with 250.3 yards allowed per game. The Rebels are coming off of a 24-3 victory against Memphis, they gave up just 104 total yards. The Ole Miss defense looked nearly flawless in the game, the same can’t be said about their offense as they turned the ball over four times. If Ole Miss wants to beat Alabama they can’t turn the ball over. Alabama was off last week, but have been a handful for opposing teams so far this season. Lane Kiffin has turned the Crimson Tide offense around into what looks to be one of the best in the country. The key for Alabama will be upfront can their offense of line continue to play well and protect Blake Sims. The Alabama defense is currently ninth in the country allowing 14 points per game, and I don’t care what people say this is still a great Alabama defense. I think at the end of the day Alabama is just to strong for Ole Miss. I got the Crimson Tide running away with this game, I think don’t think that the Ole Miss defense is as good as their numbers are. I may be wrong, but I think that the Rebels will have their big season next year.